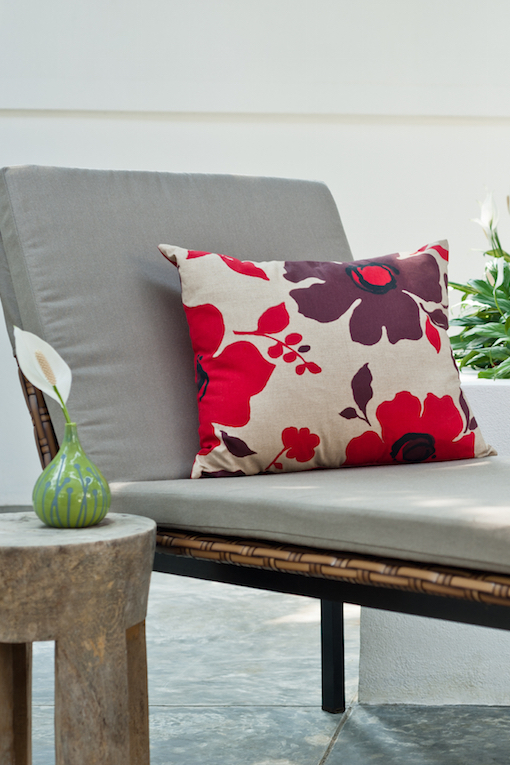 At Encore Consign + Design, we know that homeowners in La Quinta enjoy the outdoors. To help you soak in the desert sun, we offer a wide variety of elegant and practical consignment patio furniture. Below is just a small sample of what you can expect to see in our consignment furniture store. At Encore Consign + Design, we understand that the weather in La Quinta is unpredictable. The one thing you can count on is sunny summers. 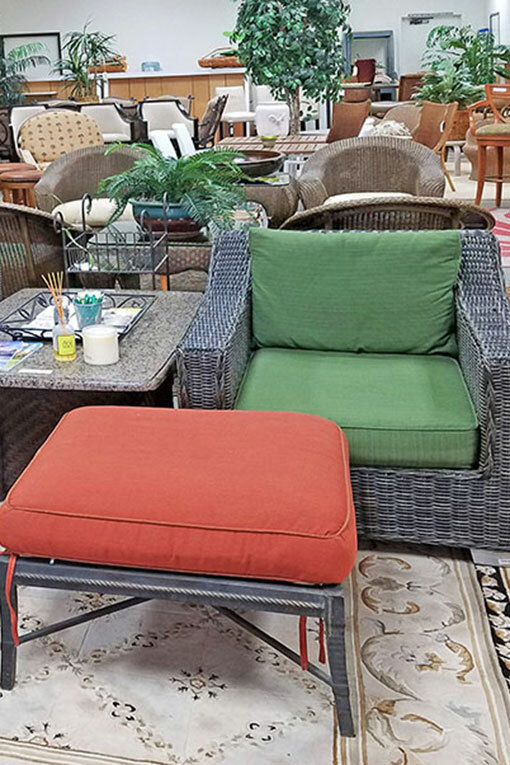 We want to help you enjoy your patio no matter the weather with our luxury consignment outdoor furniture. We bring you a modern and eclectic collection of patio furniture at consignment prices to ensure that your patio is beautiful, yet durable. 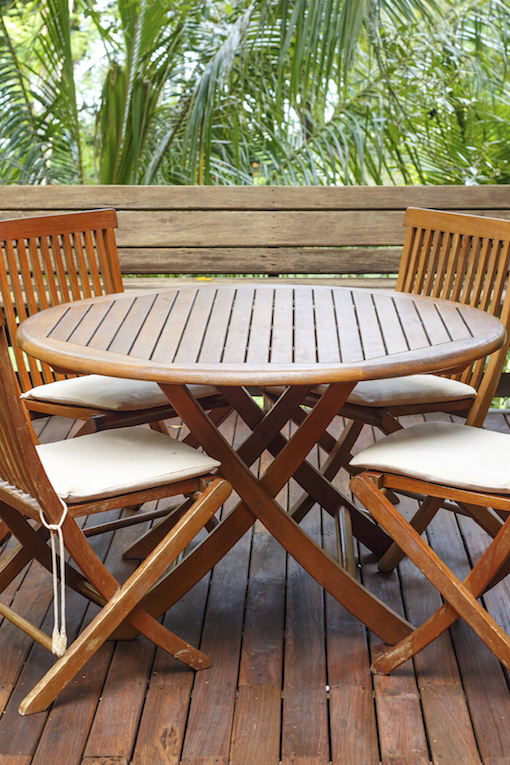 From aluminum to wicker and everything in between, you can count on us for all of your patio furniture needs—even outdoor accessories. 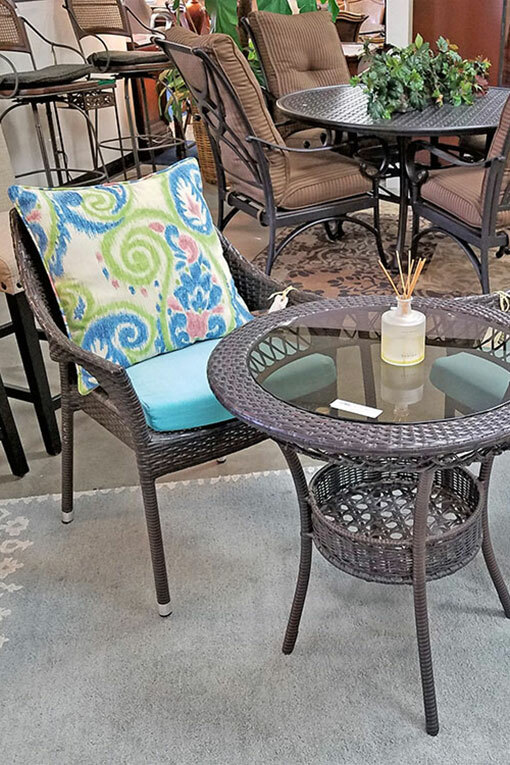 Our customers come from all over the Coachella Valley to furnish their outdoor space with stylish, yet practical consignment furniture. Above are just a few of the many dining room furniture options that we commonly have in our store. From the second you step into our consignment furniture showroom, you’ll have a shopping experience unlike any other. You’ll be greeted by our friendly staff of design specialists that can help navigate you through our multi-room consignment furniture showroom. No matter if you know exactly what you're looking for, or are just looking for inspiration for your home, our staff is dedicated to helping you create the home of your dreams. With over 23,000 square feet of designer-inspired consignment furniture, you’re bound to find the perfect furniture for your space at the right value for your budget. Visit us today to start turning your dreams into a reality. At Encore Consign + Design, we have completely revolutionized the way you shop for furniture. From the second you step into our consignment furniture showroom, you’ll have a shopping experience unlike any other. You’ll be greeted by our friendly staff of design specialists that can help navigate you through our multi-room consignment furniture showroom. With over 23,000 square feet of designer-inspired consignment furniture, you’re bound to find the perfect furniture for your space at the right value for your budget. Visit us today to start turning your dreams into a reality.